The skyline of beautiful downtown Oakland, California, is defined by various towers by day, but at night there is one that shines far more brightly than the rest: the neon-illuminated Tribune Tower. The distinctive 22-story tower features a sandy brick exterior and is topped with a pitched copper-coated mansard roof, but what sets it apart are its glowing red neon signs. 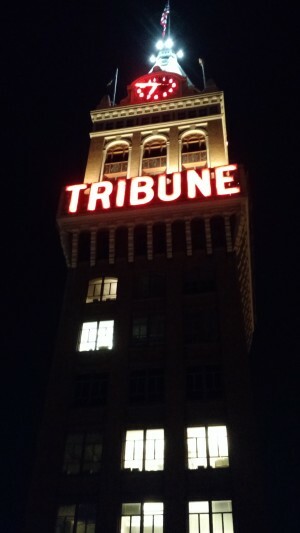 Each side of the tower says “Tribune” in bright red letters, and has a neon-illuminated clock with neon hands. Neon this prominent and well-maintained stands out for its brightness, of course, but it also has become a rarity in the 21st century city. Neon gas was discovered in 1898 by Scottish scientist Sir William Ramsay, who named it for the Greek neos (meaning new). 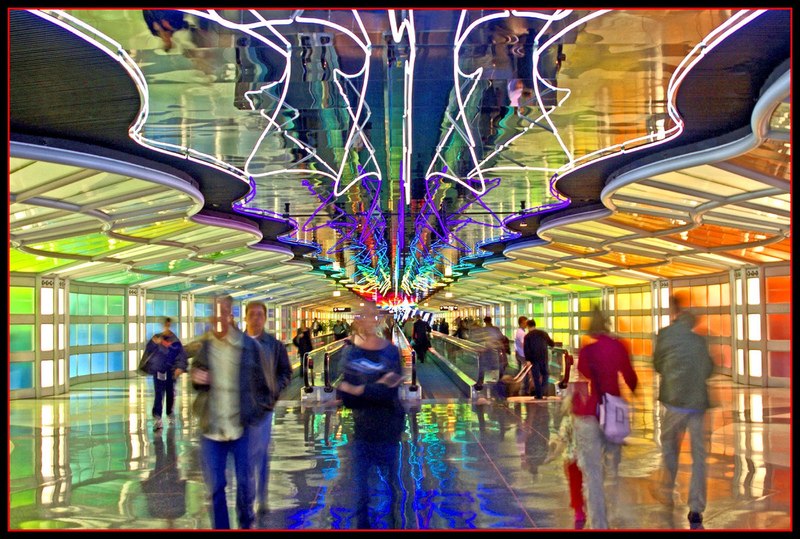 The use of neon in signage was pioneered by a Frenchman named Georges Claude in the early 1900s, starting in Paris. By the 1930s, there were 20,000 neon advertisements in Manhattan and Brooklyn, most of them from Claude Neon. 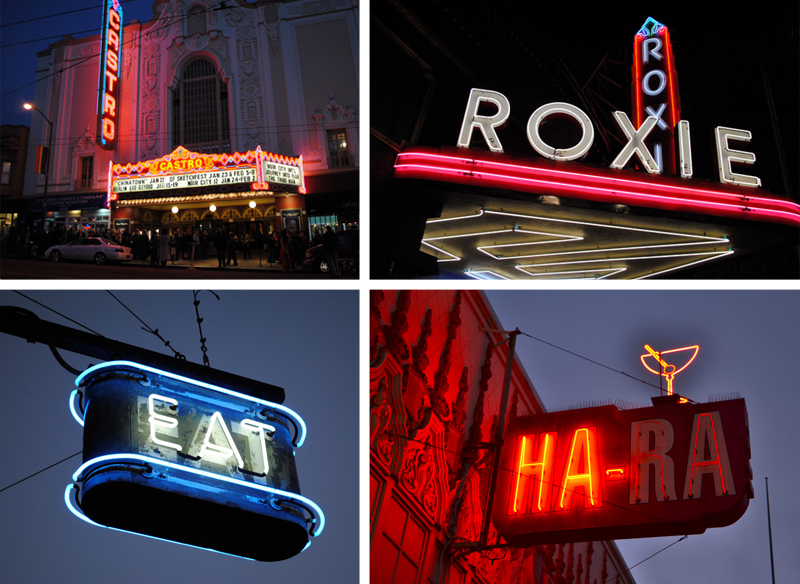 Initially, neon was used to adorn high-end venues and restaurants, and conjured associations of bright-lit city life. Over the years, as white flight depleted downtown, neon became, to many, a symbol of seedy establishments, and flickering metaphor for loneliness in society. 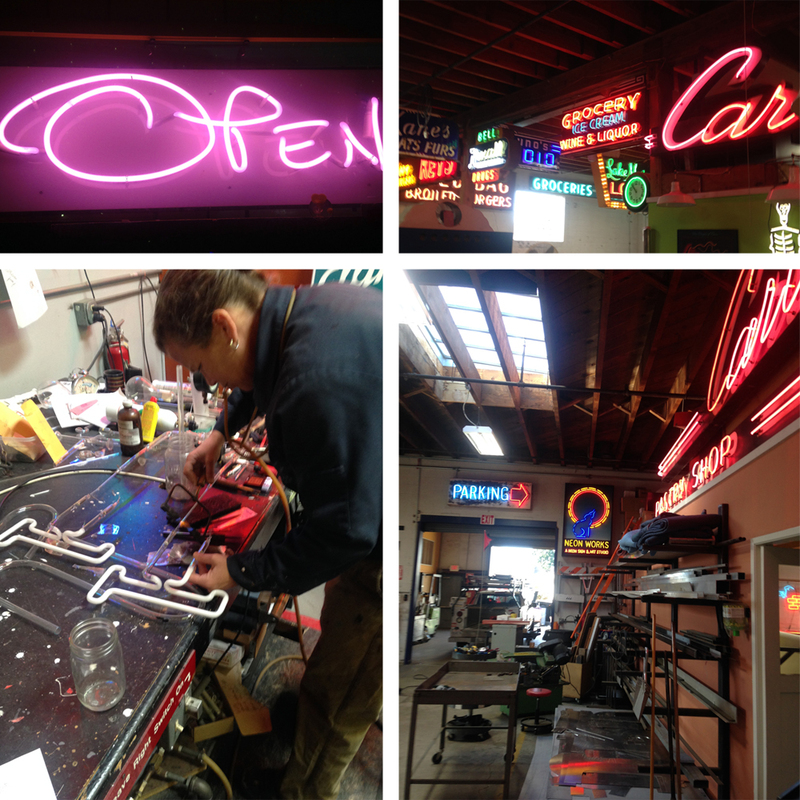 Today, despite the thriving LED market, neon is enjoying a modest resurgence, with some demand returning for neon art and signs. This demand is met by tube benders, craftspeople who manually heat and flex straight glass tubes into letters and other shapes. Even neon signs mass-produced in China are twisted into shape by hand. And most large neon works on the street were painstakingly produced, one at a time, usually by local benders. The tubes are heated and impurities are vacuumed out before the tubes are filled with gas and fused to electrical sources. 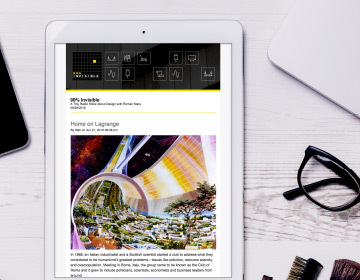 It is expensive and difficult, which is part of the reason that, when neon signs break, they tend to be replaced with LEDs. In most major cities, like New York, the neon sign is an endangered species. 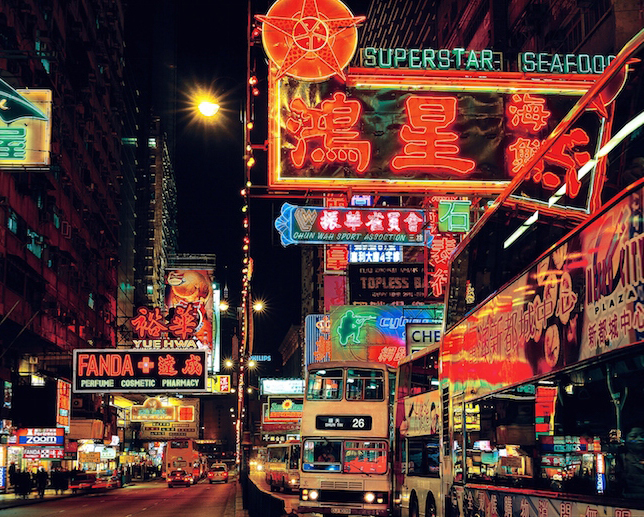 In some places, including Hong Kong, there are even laws banning neon and forcing its incremental removal. 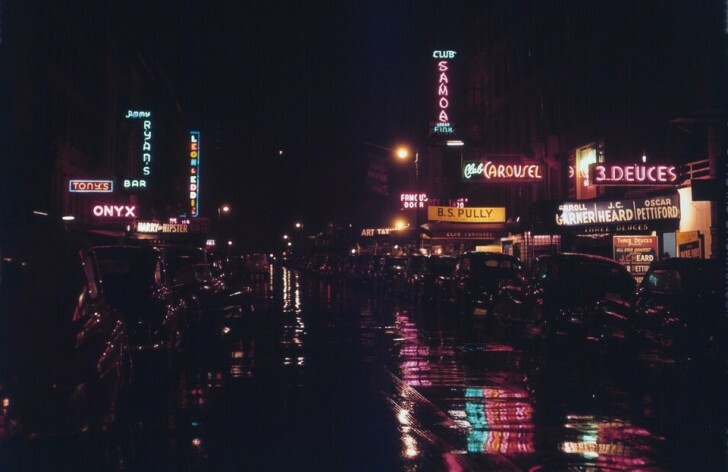 At the same time, however, artists, historians and preservationists are fighting to save neon, in light of the cultural history neon signage represents. Producer Avery Trufelman interviewed John Law, neon installer and maintainer for the Tribune Tower; Christoph Ribbat, author of Flickering Light: a History of Neon; Shawna Peterson of Peterson Neon; Randall Ann Homan and Al Barna, publishers and photographers of San Francisco Neon: Survivors and Lost Icons. 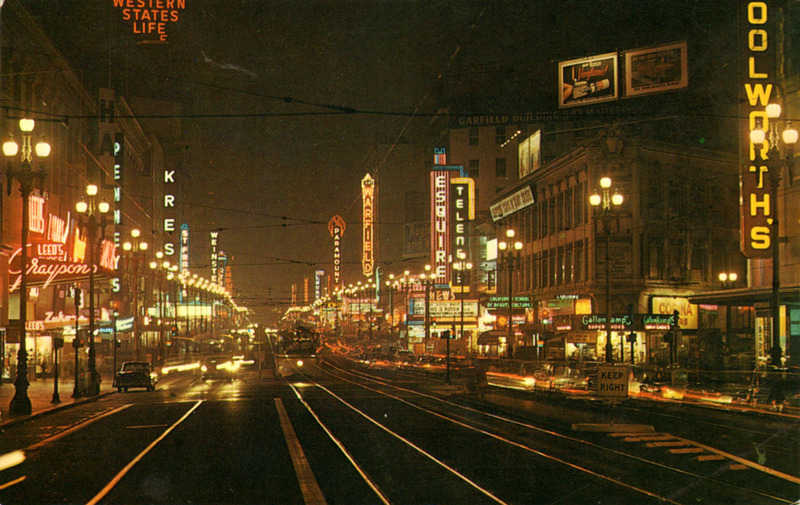 Special thanks to Jim Rizzo of Neon Works in Oakland and Tom Downs, author of Walking San Francisco. Filled me with nostalgia! 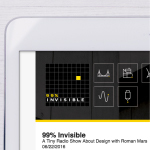 Thanks for another great podcast!